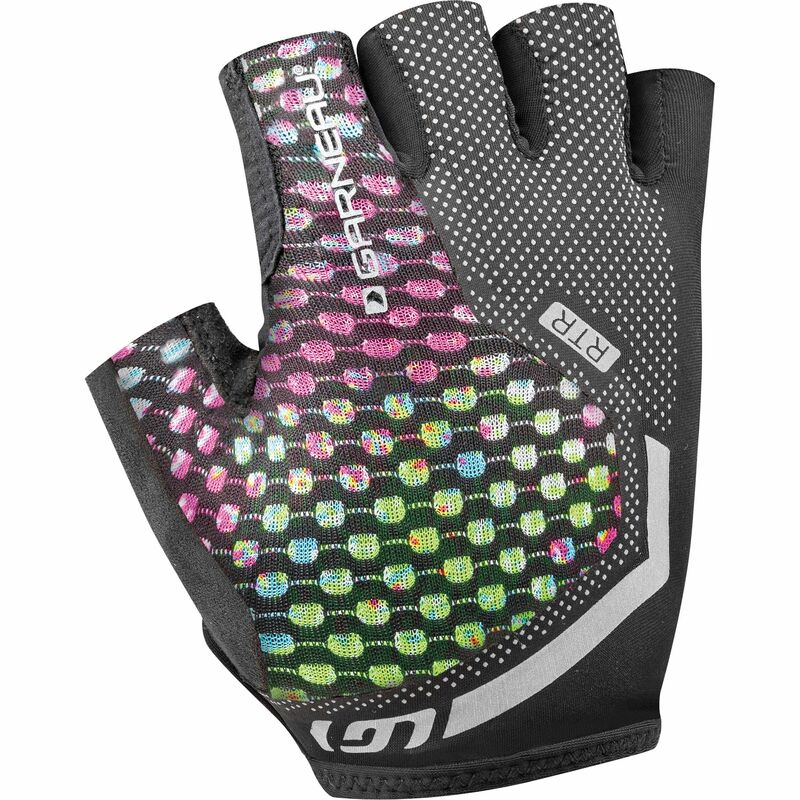 Engineered to deliver top performance and comfort for elite riders, the Women’s Mondo Sprint Cycling Gloves employ patented Garneau technology to full effect. Garneau’s exclusive Progressive Padding employs molded silicon to absorb vibrations and reduce pressure on the nerves to minimize the risk of injury and numbness after long rides. The seamless back construction eliminates skin irritation and features an AIR ZONE vent for improved airflow. Patented Ergo Air® technology efficiently removes moisture to stabilize temperature in the hands – helping to keep you cool, even on the hottest days of summer. A synthetic leather palm provides great breathability and superb comfort, for a closer connection to the bike that gives you total control. Laser-cut fingers reduce skin irritation, while the pull-tabs on the fingers make it easier to take the gloves off. A hook and loop fastener fastener on the wrist allows for fine-adjustments to the fit without slowing you down, with reflective branding providing a boost to low-light visibility.